New Scotia, Canada, 1979; Lives and works in Berlin, Germany. 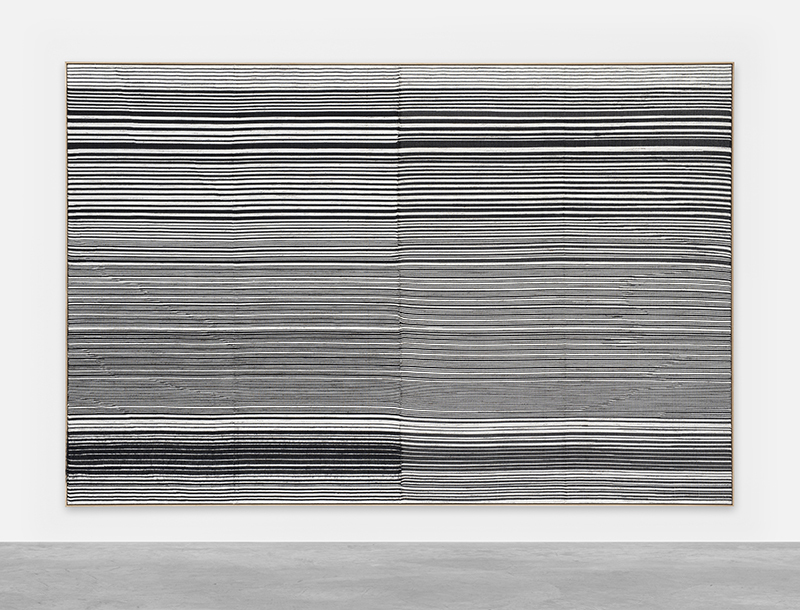 More identified with the tradition of painting than with weaving, Wadden’s works refer to a decelerated time. The loom and the materials he makes use of – reusable paints, wool and fabrics that the artist acquires in thrift stores or on the Internet – give his compositions the feeling of being made by old men. “Painting” is a starting point and a medium, resulting in geometric compositions as visual as tactile. To the interest in leftovers and patches, enchantment is added by the type of energy that comes from the body and the meditative doing that the weaving retains.